Idris Elba’s illustrious career has taken many turns over the years. He’s been a respected actor, DJ, official sexiest man alive, and amateur kickboxer. But this week ranks as a high watermark for the multitalented star as he face’s entertainment’s most grueling challenge: hosting Saturday Night Live. Saturday’s broadcast, featuring musical guest Khalid, will be Elba’s debut on the long running sketch series. To let fans know just how excited he is SNL has dropped a promo for Saturday’s show telling the tale of how Elba got the gig. If you’ve ever wondered “is Idris Elba smooth just walking through a set of double doors?” this promo is sure to ignite some fantasies. The clip makes two things abundantly clear: Idris Elba is thrilled to be hosting SNL, and Aidy Bryant makes everything funnier. 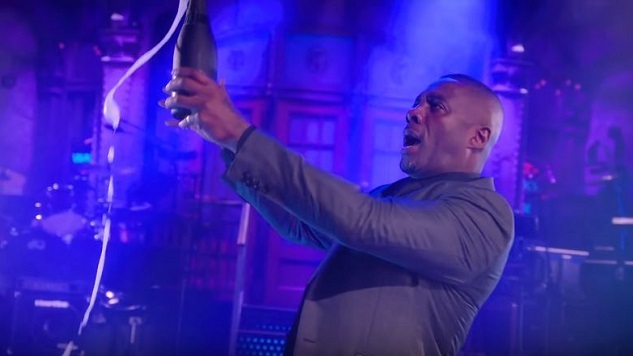 Watch the clip below, and make sure to catch Elba on his new Netflix comedy Turn Up Charlie, out March 15th.